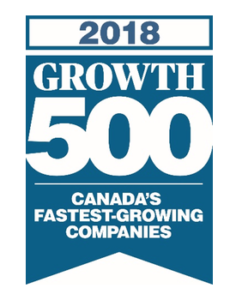 Toronto, ON – September 14, 2018 – Cority, the most trusted environmental, health, safety, and quality (EHSQ) software provider, is proud to be recognized by Canadian Business and Maclean’s in its 30th annual Growth 500, the definitive ranking of Canada’s Fastest-Growing Companies. Cority toped the list with 245% revenue growth over a span of five years, coming in at number 276 for the overall ranking. Produced by premier business and current affairs media brands, Growth 500—formerly known as the PROFIT 500—profiles the country’s most successful entrepreneurial businesses. This recognition adds to the many awards Cority has achieved for its rapid business growth and profitability, highly engaged corporate culture, and industry-leading product capabilities. For more information about Cority, visit www.cority.com. For 30 years, the Growth 500 ranking of Canada’s Fastest-Growing Companies has been Canada’s most respected and influential ranking of entrepreneurial achievement. Developed by PROFIT and now published in a special Growth 500 print issue of Canadian Business (packaged with the October issue of Maclean’s magazine), online at Growth500.ca and CanadianBusiness.com, the Growth 500 ranks Canadian companies on five-year revenue growth. Founded in 1928, Canadian Business is the longest-serving and most-trusted business publication in Canada. It is the country’s premier media brand for executives and senior business leaders. It fuels the success of Canada’s business elite with a focus on the things that matter most: leadership, innovation, business strategy and management tactics. Learn more at CanadianBusiness.com.